Many have asked over the past months, why availability of used wine barrels has become poor, while prices have risen. The short answer is, well, there really isn’t a short answer. To put it simply, several forces have been brought together to create this problem. The most obvious answer to why there is a shortage of used wine barrels is due to winemaking, or rather the increased production and sale of wine, especially here in the United States. Wine consumption is at an all-time high in the U.S., therefore wineries are increasing output and in-turn retaining and using barrels longer. Add to that, the fact California grape productions has been huge over the last few years, which has vintners hedging their bets and holding onto barrels that would otherwise be retired. It’s a little more complicated than that, but essentially, barrels were being hoarded by wineries. Now grape production has slowed a bit in California due to the drought, which we’ve discussed in prior stories. Okay, so where are those barrels? That’s another reason used wine barrels are more rare: spirit makers are buying up those used barrels from the Golden State for increased production of different alcohols including whiskey. Couple that with more craft brewers using more used wine barrels – like local brewery Firestone Walker – and voila, barrels disappeared from the barns of wineries at alarming rates. These aren’t the only reasons that barrels are harder and harder to find. The furniture business has exploded with used wine barrels being taken apart to be re-crafted into a menagerie of furnishings such as chairs, which are extremely popular. Also, art-based fixtures like lighting and more simpler ideas such as pots and pan holders, plus more common uses like hat and coat hangers with staves have burst on the scene. 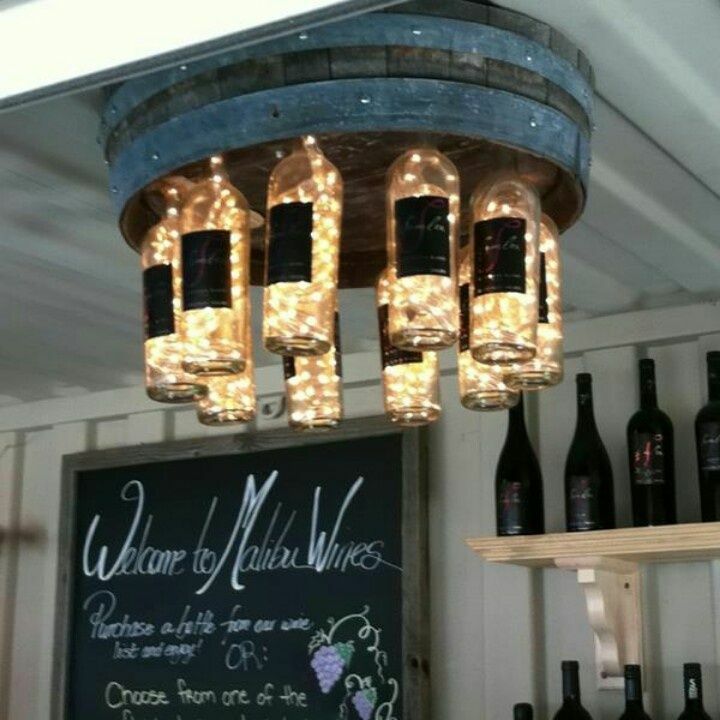 We at Paso Wine Barrels are always searching and sometimes we have to limit the sale of used barrels so we have enough to make our popular Decorative barrels. In two years, we’ve had a couple one-month spells where there weren’t enough barrels to go around. The industry will ebb and flow with availability a matter of timing as to who has barrels and who doesn’t. A few years ago, it wasn’t unusual for used wine barrels to be free to pick up. Those days are long gone. This entry was posted in Alcohol, Barrels +, Business, Design, Wine and tagged barrel furniture, used wine barrels, Where The Barrels Have Gone, whiskey barrels on July 30, 2015 by PasoDr. Haggen may be in worse trouble than originally thought. Not only has Haggen cut employee hours along with actually their work force (see re-blogged story), but now it appears they can’t make payments on the initial sale of the stores (source: L.A. Times). Albertsons claims Haggen reneged on payment for inventory. However, Haggen states they were never going to make that payment to begin with. Therefore Albertsons has filed suit and it appears the courts will have to decide. Haggen denies any wrongdoing and instead, says Albertsons was at fault. In Haggens own words, they admit unprecedented competition for the Washington based companies battle to enter the Southwest. Whether this is another sign the originally tiny store chain can make the leap to regional supermarket remains to be seen. Here on the Central Coast, we have had some good markets come and go including my favorite Scolari’s, which folded up after a 60 year reign and left the Golden State in 2012 due in part to being over-taxed and over-regulated by Sacramento. Then came some news this past year that seemed positive when Washington based Haggen bought up nearly a hundred Albertsons and Vons in California. It was thought that Haggen would bring better customer service and a more fresh set of products to market, somewhat along the lines of Whole Foods. It sounded promising, but only three months into their endeavor, it appears the concept isn’t working. This entry was posted in Business and tagged Albertsons, Haggen's Troubles Continue. Haggen, supermarket on July 22, 2015 by PasoDr. That infamous chorus of words were never more true than when remnants of Hurricane Dolores came up from the Mexican tropics and dumped extremely rare heavy rains on generally the southern half of California. What a powerful and freak occurrence. I don’t believe Albert Hammond’s’ 1972 song It Never Rains in Southern California had summer in mind, because essentially it never rains in California in the summer, period. Sure, an occasional monsoonal flow from Arizona sneaks in usually in late summer, but those rains do not make regular appearances except for maybe the Southern California deserts. 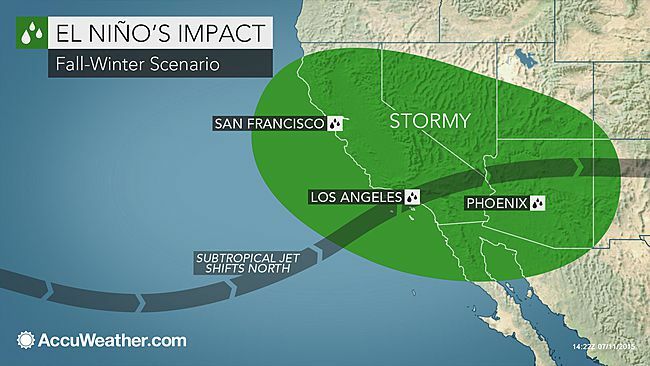 Yet, rain in heavy amounts pummeled much of California. Normally dry – Now Hurricanes? Here in the wine country of Paso Robles, measurable rain is even more rare, because our cool waters off the Central Coast stop any energy from generating strength to pull storms this far north. Plus, July is our driest month with an average of .1 inches of rain in a normal year. Except this isn’t a normal year as El Nino has made its presence felt long before winter arrives. And that’s how the moisture associated with a former Hurricane came to spew what energy it had left on the North County. 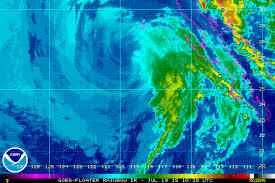 Hurricane Dolores off Baja as she approaches Southern California. 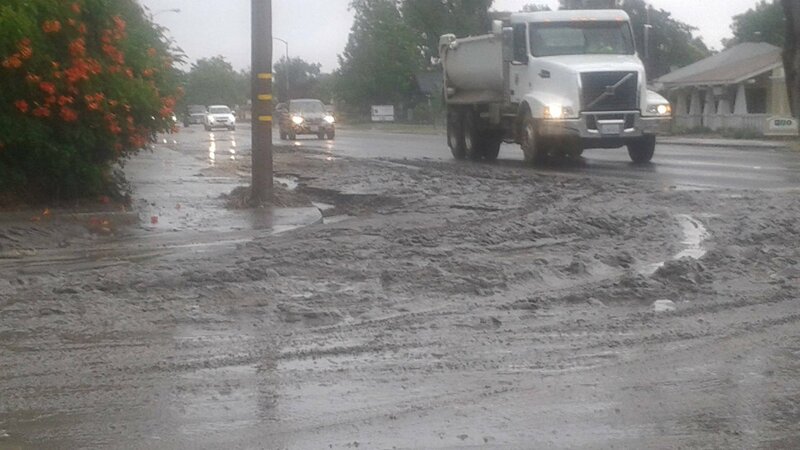 Paso Robles received over three and a half inches of rain on July 26th, most of which fell during a few early morning hours. Constant lightning and thunder hammered the area incessantly before, during and after the big rain event. Unprecedented, doesn’t do this occurrence justice. With ground dry as a bone, Dolores’ remnant moisture made its way everywhere and flooded any crevice, creating a mess. By the way, the former record for rain in the whole month of July is .59 inches. The record is as Mick Jagger would say: Shattered. On a personal note, the rain devastated the backyard and part of the house. There’s a hill behind the house and the hard rain washed away anything it could including mud right into the backyard and patio, making for quite a muddy wet swamp. Shovels are at the ready as we wait for an insurance adjuster. The force of the storm was so ferocious, it actually ripped up a very small portion of the roof – but understand this is a concrete tiled roof. All-in-all it was one of those rare infrequent episodes that reared its ugly head and decided the parched and drought-stricken California was a nice place to disgorge itself of massive amounts of water. We pray for rain in the Golden State, and maybe we prayed too hard, because rain came in buckets over a very short period and wreaked a little devastation along the way. This may not have ended the drought, but indications are, it certainly could come to an end soon. The warmer waters off the the coast created by El Nino have allowed monsoonal flows from the desert to reach us this summer with light showers or sprinkles, but this powerful storm did much more than that. Paso Robles was at the very northern edge of Dolores’ impact, but in the end, we may have received more of her fury than most. Also, this area is dry as a rule, but we’ve had a muggier than normal summer so far. I don’t know if this will be a problem for the wine-growers, because one of the results of rain like this and humid conditions is mildew, which is an unwanted problem for vineyards. If this is any indication of what we’re in for when the rainy season actually arrives, the California drought will be over and we may have other more pressing and damp problems to address. In the interim, as MC Hammer might say, it’s shovel time. This entry was posted in Central Coast, Weather and tagged California drought, El Nino, Hurricane Dolores, Record-breaking July Storm In Paso Robles on July 21, 2015 by PasoDr. The cattle drive in Paso Robles is an annual event that kicks off the California Mid-State Fair. The Wednesday morning affair is well-known and brings out people – both visitors and locals – to watch the parade each year in anticipation of the opening of the fair that day. However, this grand occasion won’t be happening in 2015. Cows won’t be coming home. The yearly cattle drive see cowboys and cowgirls on their horses headed by a convoy of celebrants, which usually includes the Mid State Fair’s queen and her procession along with city leaders. The horses and cattle clip clop their way from Hwy 46 East and Golden Hill Rd down to Union Rd. They wind their way down Union to the 13th Street overpass and then turn right onto Riverside Avenue where they eventually head into the fairgrounds. After at first having no statement on why the cancellation, the only explanation given on the California Mid-State Fair’s website was due to “logistical reasons”. 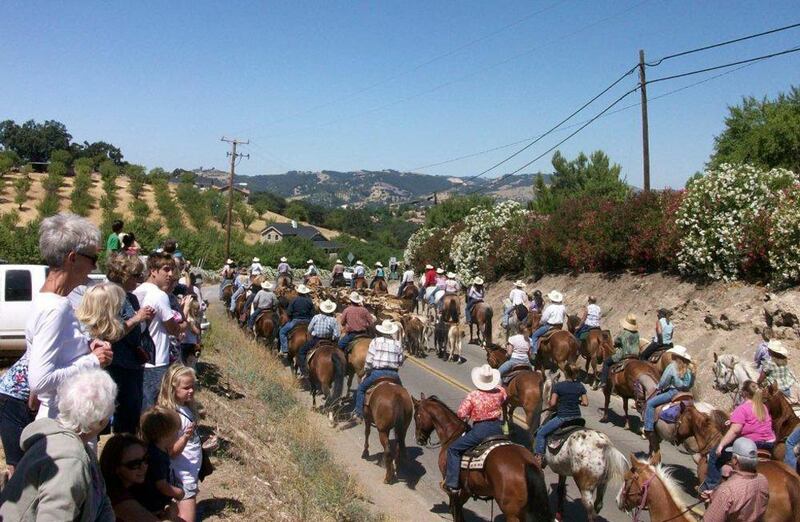 The cattle drive hearkens back to a bygone era when Paso Robles and vicinity were as well known for almond orchards and cattle ranches as vineyards are now. As a fan of the cattle drive having watched nearly everyone for almost a decade, the local gathering of neighbors down on Union Road will be missed by many. In fact, the neighborhood crowds had grown every year, from the first time I saw it until recently. This is disappointing to say the least. Even though we’re only five minutes from Downtown, like a old friend and neighbor used to say, it’s like country-living in the city. And the cattle drive was one of those events that brought that across. Everyone would wait patiently and as the crowd grew in anticipation, finally seeing the beautifully groomed horses pulling restored wagons with dignitaries including the aforementioned queen and her court – well, it was a sight to behold for this former big city guy. The cattle didn’t always cooperate – as cowhands head up the hill in search of cattle that bolted from the herd. A couple different years saw a few cattle get loose and head into the hills above Union – this was hilarious to watch, although I’m sure it wasn’t fun for the cowhands who had to race off and round up the cattle back to the herd. It was entertaining, as was the entire happening. The cows coming home through the streets of Paso Robles was a unique event, so whatever the real reason for why it didn’t happen in 2015, hopefully in years to come, the cattle drive will be restored to its rightful place as the start of the ‘Biggest Little Fair’. 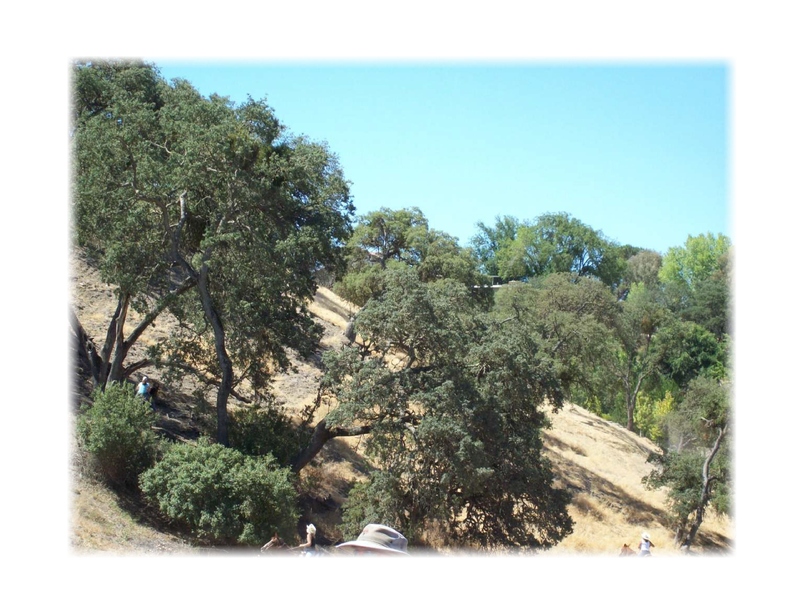 This entry was posted in Business, Central Coast, Events and tagged California Mid State Fair, cattle drive, cows coming home on July 20, 2015 by PasoDr. Stunning news from Paso Robles. One of the more successful brewers in the U.S., Firestone Walker, has been acquired by Belgium-based Duvel Moortgat. In an agreement signed earlier this week, it was announced that although the acquisition is by Duvel of the California brewer, management will be retained including David Walker and Adam Firestone. Duvel’s conglomerate has been expanding in the United States recently with acquisitions including Missouri-based Boulevard Brewing early last year. A well-known and award-winning beer maker in Europe, Duvel was established in 1871. Adam Firestone, who is the great grandson of the famed Firestone Tire and Rubber Company founder Harvey Samuel Firestone, founded Firestone Walker with his brother-in-law David Walker in 1996 here on the Central Coast. Expanding in Paso Robles, California, they created a unique craft-brewed tastes by using wine barrel style oak cask to offer up an oakey style flavor. The company has grown from a small local micro-brewer into a mid-sized brewing powerhouse. Obviously influenced by wine country on the Central Coast, Firestone Walker uses oak barrels to obtain their unique flavor. The American company insists that all their 360 employees will be retained and the two founders remain in control of management. Both sides of the deal are private concerns so details are not readily available. 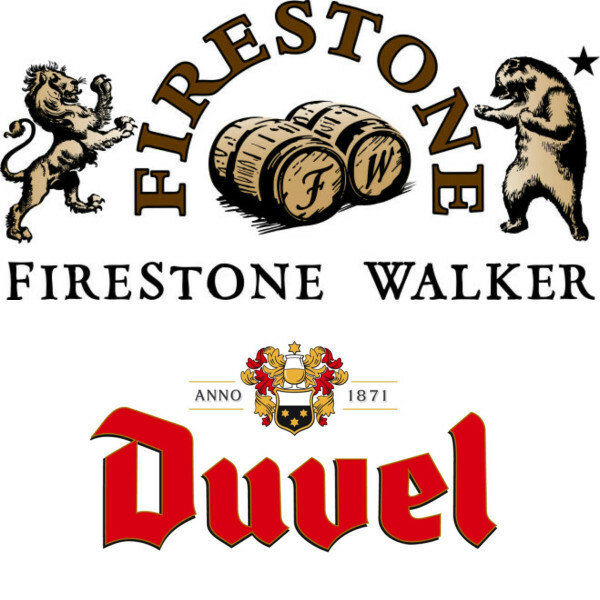 It remains to be seen how this combining of U.S. operations will work for Duvel and Firestone Walker, and many will be watching the Paso Robles company to see if there will be changes in the structure of the business going forward. This entry was posted in Alcohol, Business, Central Coast and tagged Adam Firestone, David Walker, Duvel Moorgat, Firestone Walker on July 17, 2015 by PasoDr. Based in Bellingham, Washington, Haggen announced this week that there would be layoffs throughout the Southwest. No exact numbers we’re given and the store says they are “temporary layoffs”. The layoffs aren’t a big surprise as employees have already had their work hours cut back in the past month or so. What brought all this upheaval was when supermarket giants Albertsons and Safeway (including Vons) merged last year, the government made them divest 146 of their stores in California, Nevada and Arizona. In a surprise move, the small chain from the Pacific Northwest snapped up the stores and ballooned to almost ten times it size. The store owners felt that a supermarket with the feel of a Whole Foods type model could work. The idea was to provide and combine the necessities of a supermarket, along with local food options, plus customer service. However, in such a competitive environment like California, there appears to be growing pains for the once little chain. The store in Paso Robles has plenty of empty parking spaces. Pricing is an issue as consumers here are used to low prices and that’s not Haggen’s strength. Also, with so many choices, especially in Southern California, it has been difficult for the new store and its brand to get noticed. From a personal point of view, along with the local food idea, I thought the store would give us a bit of Scolari’s combined with Whole Foods and typical fare of a supermarket. They’re nice and although the meat and bakery departments are improved, so far, in my opinion and from an anecdotal perspective, pricing is too high and the offerings aren’t that different from before – the store they replaced here in Paso Robles was a Vons. 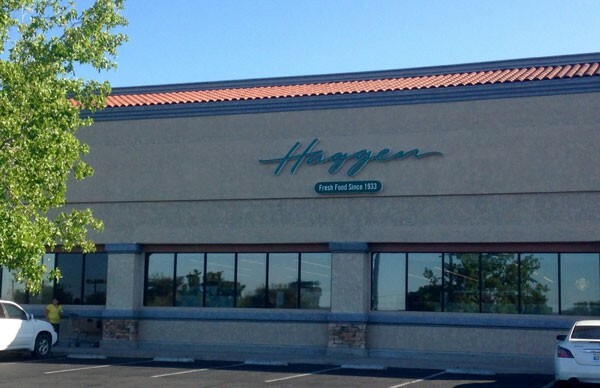 Note, the other North County Haggen is in Atascadero and used to be an Albertsons. This would not be the first – or likely the last – new concept to fail in California. Fresh and Easy was going to be the latest greatest conception when they rolled into the Western U. S. determined to bring a smaller and quicker way to shop, especially in places like Southern California where people are always in a hurry. That theory didn’t pan out and the store went bankrupt in 2013 after a six-year battle. Fresh and organic foods, plus bakery and meat sections are some of the positives for Haggen concept. In any case, as Haggen struggles to find their niche, will the over-extended chain be able to hold off the rigors of making it California? More succinctly, will the ongoing process of selling folks on the idea of fresh and local food, make up for the fact the prices are higher? Here in Paso Robles, we still have an Albertsons, as well as Walmart, Food for Less, Smart and Final Extra (in the old Scolari’s), Target and just down the road in Templeton, a Trader Joe’s. We will also have a Grocery Outlet opening next month. With Amazon now delivering food to your door, competition is tough, to say the least. By the way, regarding the Central Coast, there are a total of six Haggens here in San Luis Obispo County and six more in Santa Barbara County – there are currently no Haggen stores in Monterey County. Fresh foods grown locally is a popular idea and one I hope leads to helping Haggen stay afloat. The food business is cutthroat with tight margins and as Scolari’s will attest, a heavily taxed and regulated industry that is dominated by unions in California. How customer service will be affected is still up in the air, but when you cut back hours and layoff employees, certainly customer service will lag. Is this another Fresh and Easy flame out because of such a difficult situation and particular customers? We can probably use a fresh food oriented store as a counter to the big boxes and supermarket, so let’s hope there’s a place for them on the Central Coast. However, Haggen’s struggles this early on are ominous. This entry was posted in Business, Central Coast and tagged Albertsons, Haggen, Haggen Supermarkets Struggle, local food, New To California, Scolari's, supermarket, Vons on July 16, 2015 by PasoDr. … a jacket, galoshes and an umbrella. This twist on a one hit wonder song (by Timbuk 3), invokes what many in California – especially here in wine country – have been in dire need of: rain. Weather is hard to figure out for a simple one week forecast let alone, what’s going to happen a few months from now. However, from almost any quadrant of the weather world, experts and prognosticators alike appear to agree that a significant El Nino is here and later this year as we head into winter, heavy rains will drench California. The last time we had a powerful El Nino was a couple decades ago, and scientist feel 2015 and into early 2016, will be possibly bigger. Now, 1997-98 was a bad year rain-wise, and was considered the most powerful in recent history. It wreaked havoc on a majority of Californians, especially in the southern half of the state. I personally remember many days in-a-row of rain in Los Angeles and Orange Counties that year. Often what happens is what we call the Pineapple Express, where almost a river of rain from the Hawaii Islands and the tropics just streams into California bringing one storm after another with no distinct breaks. Mudslides prevail, rivers overflow as do dams as well as street flooding that can inflict devastation. It’s not unusual to get a solid weeks worth of rain due to the Pineapple Express’ steady and incessant drenching. The problem with hoping for rain – too much can devastate the area. What is happening is a high air surface pressure in the Western Pacific (think Indonesia and Australia), helps to create a change in water temperatures with the Eastern Pacific along South America increasing warmth in their waters (i.e. Peru). Ocean temps here on the U. S. West Coast get warmer and right now that is evidenced by our waters here along the San Luis Obispo County beaches running a few degrees above normal. I’ve been told by weather folks that windier and warmer weather can result during the summer previous to an El Nino winter. Well, it has been windier and warmer here on the California Central Coast. We’ve also had a few monsoonal flow rain storms this summer that usually don’t appear until late summer if at all in Central California. Warmer waters aids in the draw of moisture from Mexico and the Desert Southwest. 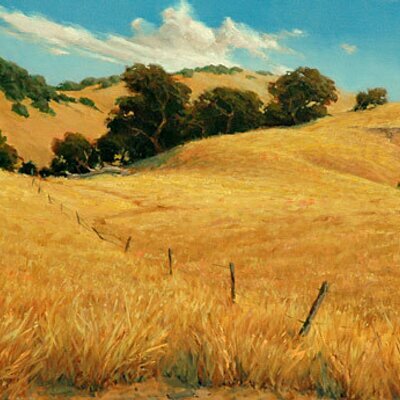 The golden rolling hills of Paso Robles are tinder dry and in need of rain. From every angle, it is becoming obvious that wine country here in Paso Robles is going to get their rain and then some. Still, what does this mean for the local citizens and farmers? Rain is needed first and foremost, so inconvenience, which may mean flooding and destruction can and will likely be heading our way. Once grapes are harvested in late summer and early fall, little damage can occur to the vines. Yet, fall and/or winter crops in the region may be in for more than they can handle. We need the rain and from what the forecasters report (or guess), we will get it in droves. In the long run, this is a good thing, as California comes off one of their most severe droughts in history, which in-turn has ripped the state apart. Feast or famine seems to be the word of the day, week, month, year and even decade for those of us in California. The future drought situation here in California looks bright. So get out the sunglasses because you better wear shades … while still possible. This entry was posted in Central Coast, Weather and tagged California rain, El Nino, Pineapple Express, The future's so bright I gotta wear shades on July 13, 2015 by PasoDr.